AT&T announced it will offer iPhone 6 and iPhone 6 Plus, the biggest advancements in iPhone history, beginning on Friday, September 19 in AT&T retail stores. 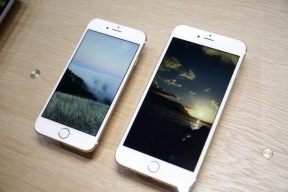 iPhone 6 and iPhone 6 Plus will be available for $0 down on AT&T Next. Customers can get up to $300 in trade in value when trading in an iPhone. Pre-orders for both models available now at att.com/iPhone. iPhone 6 and iPhone 6 Plus are the biggest advancements in iPhone history, featuring two new models with 4.7-inch and 5.5-inch Retina HD displays, and packed with innovative technologies in an all-new dramatically thin and seamless design that is still comfortable to hold and easy to use. For more information, visit www.att.com/iphone and www.about.att.com. For more information on iPhone, please visit: www.apple.com/iphone.